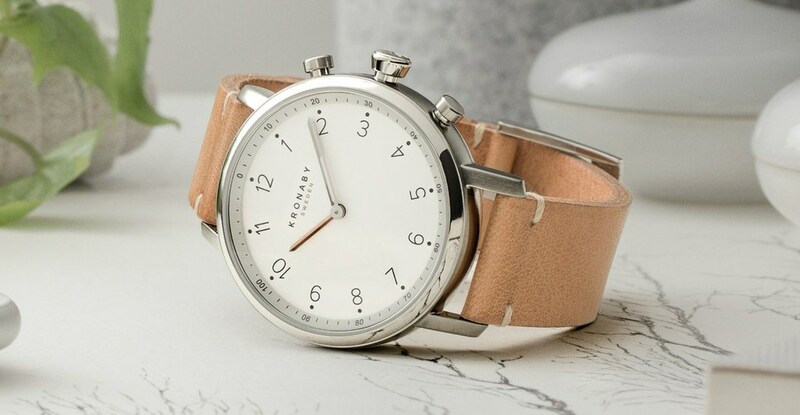 Kronaby, a Swedish watchmaker, is relatively new to the relatively niche market of wearable tech. Though being from Sweden has put them at any advantage, with all their peers and history of luxury watchmaking. And they are quite possibly the most premium smart watches on the market. That largely comes down to what you consider premium. If your definition of premium is a watered down version of the word expensive, then leave now. Because in that case, you’ll consider the title deceptive. But for us, the term premium is an indication of an experience that supersedes the mainstream. A top of the line Apple Watch Series 3 will rack up a bill of nearly $1,400. Compared to that, Kronaby’s top line, top variation, clocks in $850. These prices aren’t indicative of what the average person will spend on them of course, but it provides simple comparison of the makers’ mindsets. The Kronaby Apex line, is the highest end, but that isn’t because of any extra features. In fact, all the lines have the same features, but only differ in material of composition and band type. The feature set isn’t all too impressive to the Apple Watch user, but there is a reason why we think Kronaby’s is superior to Apple’s. Or any other’s for that matter. First of all, Kronaby doesn’t succumb to putting a touch screen in. The principles are simple. Kronaby believes that you have enough information on your phone, and you don’t need to be distracted through your wrist as well. The watch is mechanical. Well, that isn’t entirely true. The clock is mechanical, yes, but it’s adjustable through your phone. And the calibration is automatic. You can expect the correct time on your wrist regardless of your traveling. This is done by connecting your phone to the watch. The watch then gets the current time from your phone and calibrates accordingly. 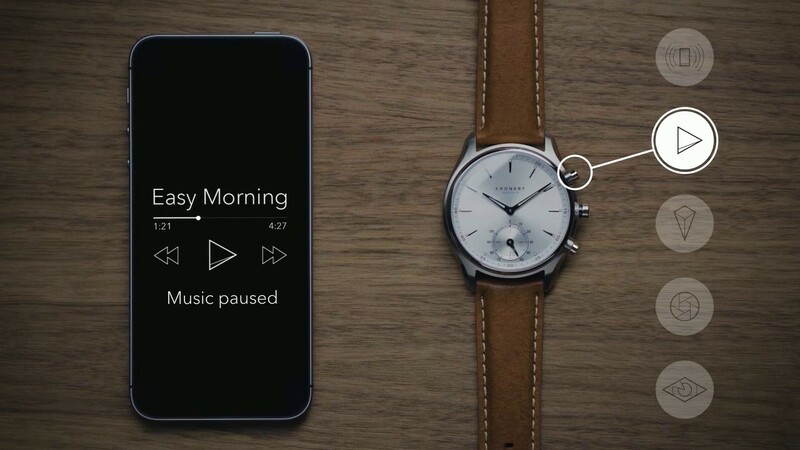 The smart watch also lets you pause music with a button on the side. There is also a programmable button on the side that can be told to do whatever you want. Press it to pause your music, or decline a call. There is also another button that is probably the most practical on a smart watch. This button will result in your phone ringing, to allow you to find it if you ever forget where you put it. But probably the best feature is the filtered notifications. It vibrates the watch on your wrist, to alert you of anything you want. A text from your wife? Vibrate 3 times. A text from your boss? Vibrate once. It’s super simple and effective. That sentence is also representative of what Kronaby thinks makes a good watch. To top it all off, you get a battery that lasts two years. Never look around for an outlet again.